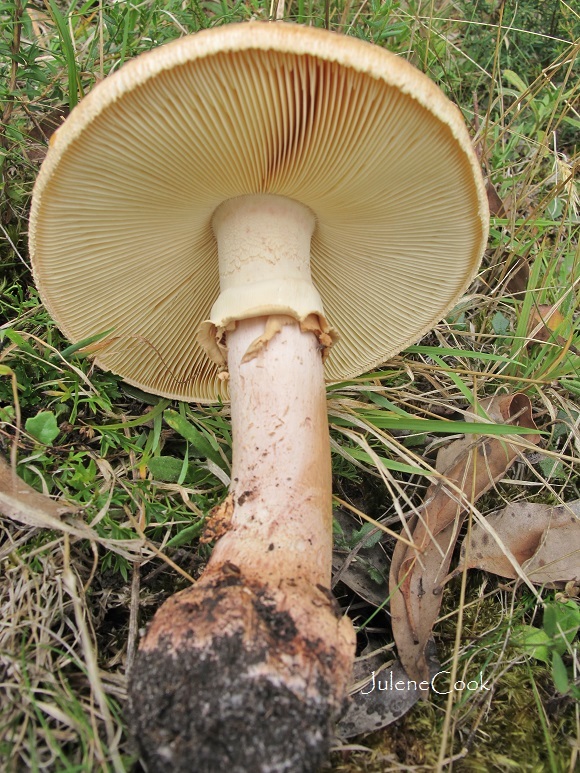 This large and solid yellow Amanita was found growing with Australian native grass in early autumn. 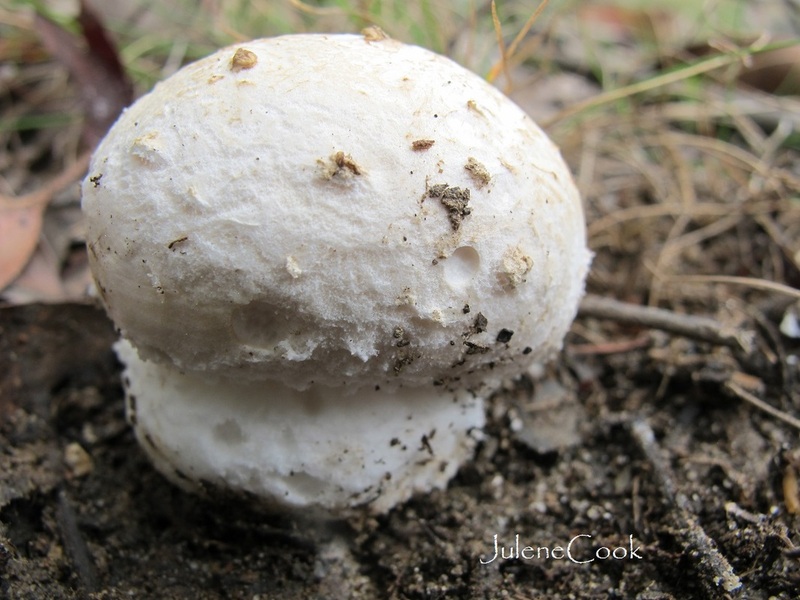 The Cap is about 10 cm wide. It is solid, dry, smooth and warm pale yellow with darker orange yellow appressed scales that disappear over time. 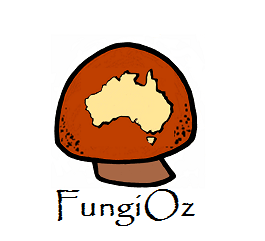 The fungi Gills are pale apricot yellow, very thick and they protrude like teeth under the cap margins. The thick and wide skirt-like ring that is attached just below the cap, is striate with mealy adhesions around both the ring and cap margins. The solid stem is thick, a pale apricot with darker scales and flares down to remains of the pale apricot volval sack. Notice that the base pinches in under the sack remains. 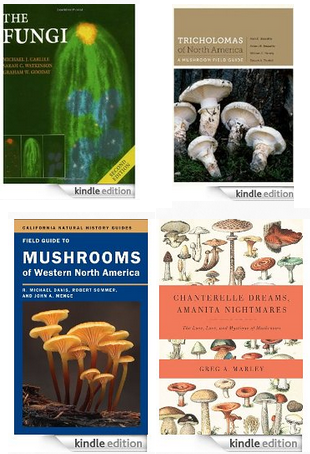 This Amanita begins as a sphere atop the bulbous base. The pale apricot skin is smooth, dry and papery with only a few large papery patches adhering to the surface. 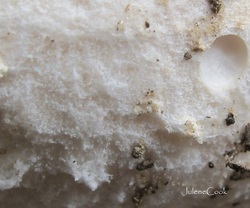 This photo shows the shiny, papery surface of the mature cap with appressed scales. 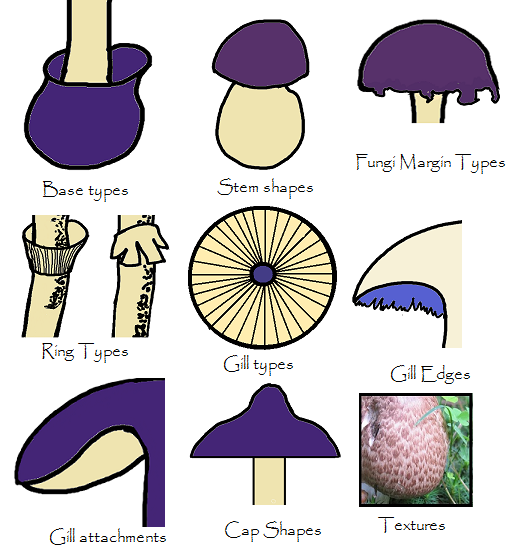 The cap has a 20 cm diameter and remains convex. Close-up, the scales can be seen to be made of very fine, matted threads. 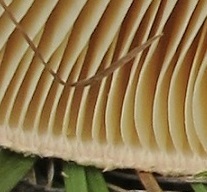 The Gills are the same pale apricot as the cap. They are smooth entire and crowded with interspaced short gills at the margins and v shaped extensions onto the edges. 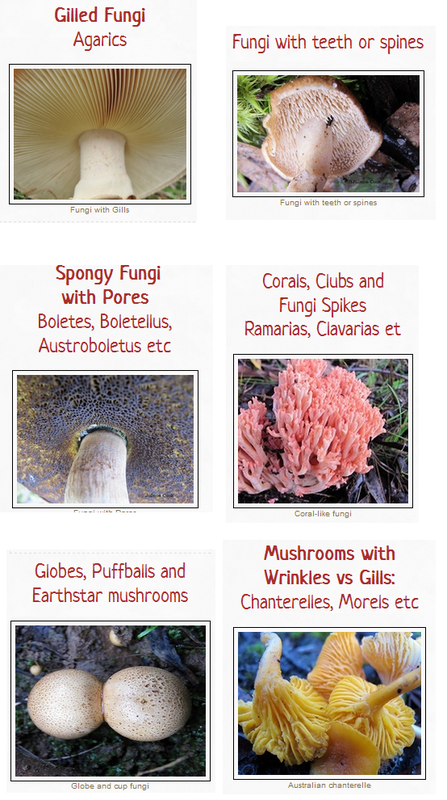 Stem: Tall, solid, cylindrical, central, with a skirt-like ring attached about an inch below the gills. The ring is smooth, double layered, thin with ragged edges and very faintly striate. 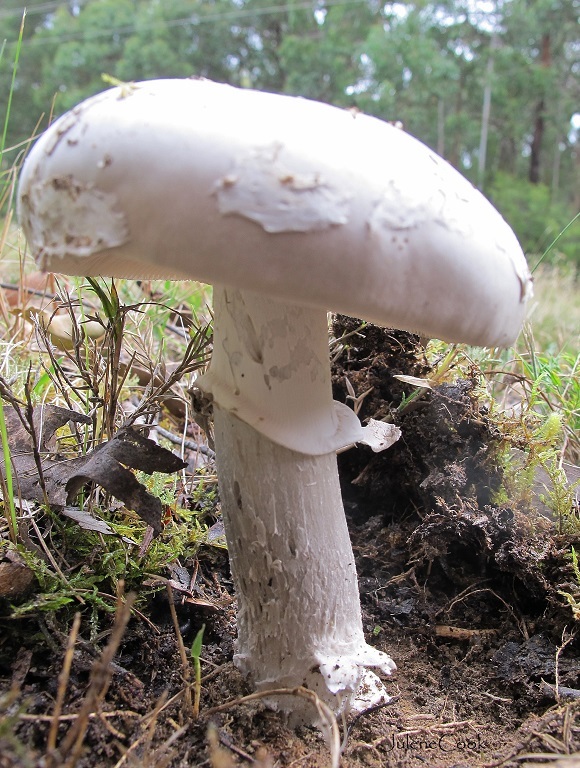 A large pink Amanita with a distinctive cloven stem base. The appressed scales on the cap are tormentose, meaning that they are composed of matted filaments that become papery.